During the women’s USA-Canada matchup Thursday, commentator A.J. Mleczko Griswold talked about the daily grind required to be one of the women out on the ice. The next Olympic Games are always on their mind. For the men’s team, it’s not as clear of a path. Most of the players on the men’s team didn’t anticipate playing in the Olympics in their entire hockey careers. Now, they’re on the biggest athletic stage in the world. Take Boston University men’s hockey junior forward and assistant captain Jordan Greenway for example. One week he’s playing in the opening round of the annual Beanpot tournament, and the next week he’s in Pyeongchang, South Korea, representing a nation of over 300 million. Until about a year ago, Greenway probably didn’t think he would be playing in the Olympics. Since 1998, most of the men’s hockey Olympic team had been made up of NHL players. But NHL commissioner Gary Bettman shook the hockey world with his announcement that the league would not shut down for the Olympics. When the men’s team took the ice against Slovenia last week, it was not expected to be a devastating loss for Team USA. However, in a terrible third period and an unfortunate 3-2 overtime loss, the United States played sloppily, like they were barely prepared. It went from bad to worse for the Americans Saturday evening when they lost to the Olympic Athletes from Russia 4-0. 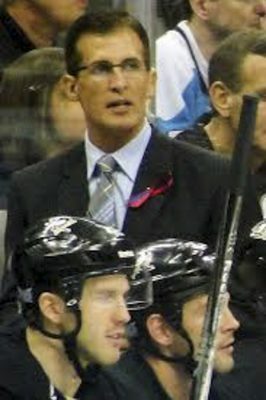 Things turned ugly when Team USA head coach Tony Granato refused to shake hands with the Russian coach because they sent out their top power-play unit while up four goals with just minutes remaining. That’s how far the U.S. men’s hockey has fallen. Four years ago, Team USA bested the Russians in their own backyard behind a spectacular performance from T.J. Oshie, who of course plays in the NHL for the Washington Capitals. Now with a roster full of has-beens and teenagers, the United States, specifically its coaching staff, is mad that the OAR, who don’t have any NHL players on their roster either, is trying its hardest. How dare they? Because of Saturday’s loss, the United States now has to play in a qualifying game to reach the quarterfinals of the medal round. That game is against Slovakia, whom the United States beat for its only win of the group stage. Four years ago when the games wrapped up in Sochi, fans were most likely expecting to see their favorite NHL players in Pyeongchang. But this year, fans aren’t as excited to watch a random college player they’ve never heard of. The show of hockey at the Winter Olympics is gone. It’s fun to see players from different teams come together to represent their country. Fans are especially familiar with the players, and they’re dedicated to watching NHL players represent Team USA. The Olympic hockey team wasn’t prepared for the pace of the Olympics. These other teams had a good idea of who would be playing in the Olympics a few years beforehand. They had time to practice together and get to know each other. There’s a disruption to this team now and it’s showing in their play. These guys are discombobulated in their playing style and unattached to each other. The NHL obviously has their own reasons for not participating in the Winter Olympics, but I hope they realize the effect on hockey culture. Fans watch Olympic hockey just to look for their favorite players. When the fans aren’t involved in rooting for their home team, who will be?